“Top Gear” will become the latest series to get its own aftershow when it returns for the new season in May, BBC America announced on Tuesday. 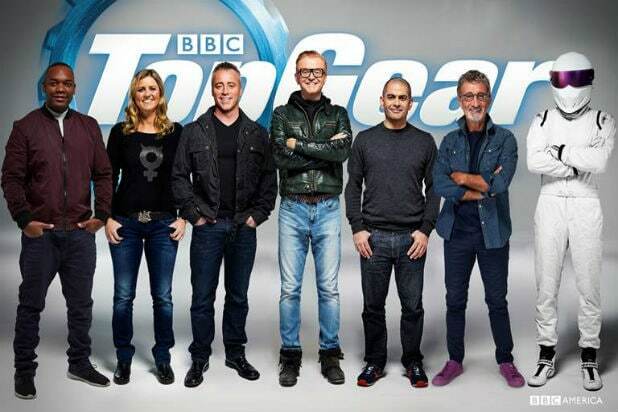 “Extra Gear” will air immediately after the rebooted series and will be hosted by “Top Gear’s” Rory Reid. “‘Extra Gear’ is hugely exciting. The ‘Top Gear’ fans are some of the keenest in the world and with this show I’m giving them a chance to really get a peek behind the curtain,” Reid said in a statement.“I’m looking forward to showing them how the show is made, what the stars and celebrities are really like, who can really drive (and who can’t), what goes on behind the scenes and giving them a different perspective on some of the coolest cars on the planet,” the statement continued. BBC America recently premiered the aftershow “After the Black,” which airs immediately after “Orphan Black” on Thursdays, following in the footsteps of AMC, which airs aftershows for “The Walking Dead,” “Fear the Walking Dead” and select episodes of “Better Call Saul.” HBO also recently debuted a “Game of Thrones” aftershow from executive producer Bill Simmons.